He is the stuff of legend. His voice can calm wild horses and his touch heal broken spirits. For secrets uttered softly into pricked and troubled ears, such men were once called Whisperers. Now Tom Booker, the inheritor of this ancient gift, is to meet his greatest challenge. Annie Graves has traveled across a continent with her daughter, Grace, and their wounded horse, Pilgrim, to the Booker ranch in Montana. Annie has risked everything -- her career, her marriage, her comfortable life--in her desperate belief that the Whisperer can help them. The accident has turned Pilgrim savage. He is now so demented and dangerous that everyone says he should be destroyed. But Annie won't give up on him, for she feels his fate is inextricably entwined with that of her daughter, who has retreated into a heartrending, hostile silence. Annie knows that if the horse dies, something in Grace will die too. In the weeks to come, under the massive sky of the Rocky Mountain Front, all their lives--including Tom Booker's--will be transformed forever in a way none could have foretold. 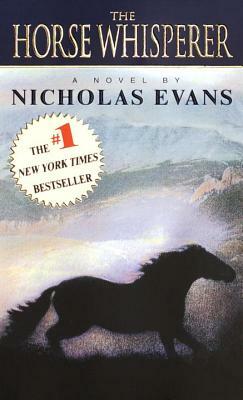 At once an epic love story and a gripping adventure, The Horse Whisperer weaves an extraordinary tale of healing and redemption--a magnificent emotional journey that explores our ancient bonds with earth and sky and hearts untamed. It is a stirring elegy to the power of belief and self-discovery, to hopes lost and found again.